Dr. Erica Di Ruggiero is the new Director of the Office of Global Public Health Education and Training as of December 1, 2016 following a search conducted by a broadly representative DLSPH committee of global health experts that unanimously endorsed her appointment. “I am delighted to welcome Erica to this role and look forward to working with her to enhance existing and develop new scholarly activities for our diverse community of faculty and students pursuing global health training and research with increasingly high impact,” said Howard Hu, Dean of the Dalla Lana School of Public Health. Di Ruggiero is a global public health expert and opinion leader who focuses on the study of interventions to address health inequities, including global labour policy, and on how different types of evidence shape global policy agendas. She is also a DLSPH alumna who holds a PhD in Public Health Sciences and a Master of Health Science in Community Nutrition from the DLSPH, and she is a registered dietitian. “I am truly honoured to build off of the excellent work of Professor Arun Chockalingam and others, to take on this role and work alongside talented faculty and students to make a difference in global public health education and training” said Di Ruggiero, who has held status and adjunct faculty appointments with the School since 2001 and has made important contributions to the teaching and mentorship of graduate students. As Director of the Office, Di Ruggiero will leverage global health activities at DLSPH to maximize the Faculty’s global impact on population health and health systems. Under her direction, the Office of Global Public Health Education and Training will create and maintain global health experiences for students, including practica, travel awards and exchange programs. She will work with faculty to develop global health programming opportunities, represent the School’s global public health education and training efforts to external communities, and contribute to teaching key courses related to global health. She will also direct the Collaborative Doctoral Program in Global Health and work with staff and faculty to potentially provide training opportunities related to some of the unique global health strengths of DLSPH faculty to the outside world. 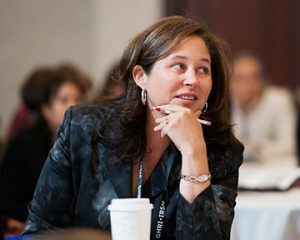 Previously, Di Ruggiero was the inaugural Assistant and Associate Directors of the Canadian Institutes of Health Research’s Institute of Population and Public Health (2001-2014) as well as most recently its Deputy Scientific Director where she led the development, implementation and evaluation of strategic research, capacity building and knowledge translation initiatives to address a range of population health research priorities. She also brings to this position extensive leadership and management experience of CIHR-partnered initiatives including the former Global Health Research Initiative, the $36-million Innovating for Maternal Child Health Program in Sub-Saharan-Africa project, the $12.5-million International Research Initiative for the Adaptation to Climate Change and the $40-million Environments and Health Initiative. In partnership with the Public Health Agency of Canada, she spearheaded the establishment of two consecutive Applied Public Health Chairs programs totalling $30-million. She has published in variety of peer review journal articles and has also contributed to the grey literature, including publications on global public health, international labour policy and decent work, public health system renewal, population health interventions, and health equity. She is also a past chair of the Canadian Public Health Association Board of Directors and past honorary vice-chair of the American Public Health Association. She has also held public health research, policy and program consultant positions with organizations such as the Ontario Ministry of Health and Long-Term Care, the Canadian Cancer Society and Cancer Care Ontario.